Does the very sight of Peanuts, Pakoras or cutlets put you off? Looking for something interesting for an evening snack or planning a cocktail party? Here is a fun idea to make something a little different from the normal run-of-the-mill bites. 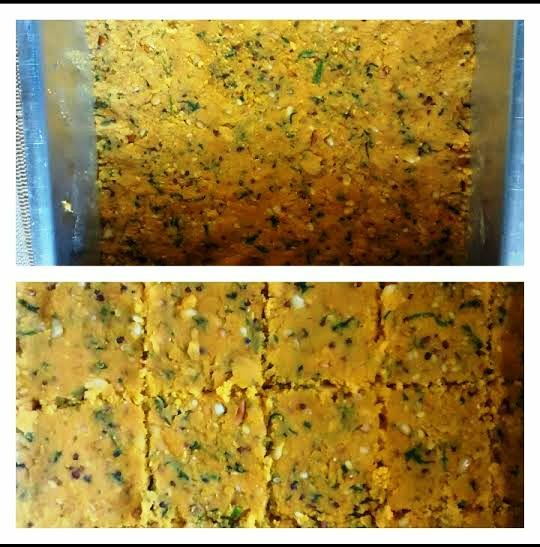 Kothimbir vadi, an authentic Maharashtrian snack will give you the much needed kink. These fritters promise a burst of flavours and textures setting you on an amazing palate journey. The Maharashtrian cuisine known for its unique and bold combination of spices and flavours has been an inherent part of Indian cuisine known world wide, from Poha and misal pav to pav bhaji!! Today let’s lay our hands on “Kothimbir Vadi”, and see how different and interesting it is from the rest! Heat a pan, add about a table spoon of oil. 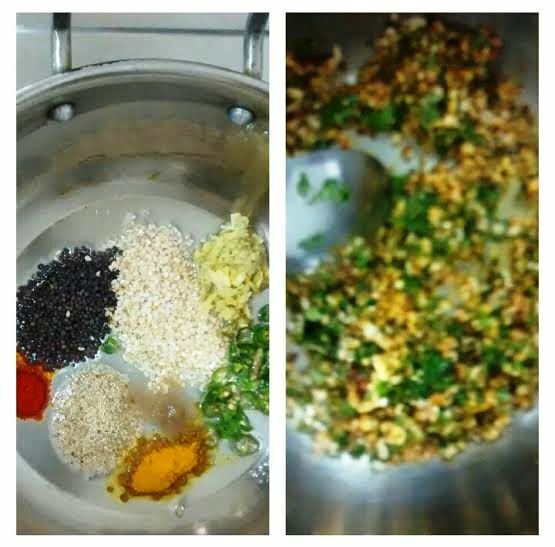 Once it is hot add mustard, sesame seeds, poppy seeds, asafoetida and let it splutter. 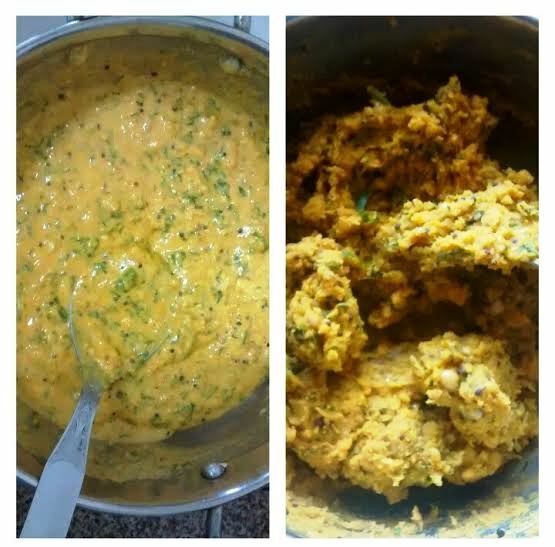 Now add chopped coriander leaves, turmeric powder, chilli powder, grated ginger garlic and give it a quick stir. Do not over cook the coriander leaves, the colour and freshness needs to be retained. At this point add the crushed peanuts and besan (gram flour). Saute it for a minute continuously. It’s now the time for water to be incorporated. As soon as you add the water, work swiftly to ensure that the mixture does not have any lumps. Once the water is evaporated, you will find that the mixture starts rolling up together like a ball, give it a minute further at this stage for it to loose all its excess moisture. Now you will be having a firm mixture resembling a child’s play dough, absolutely soft and pliable. Now grease a plate with raised edges or any other container with flat surface and slightly raised walls. Grease your hands and start flattening out the mixture on the greased plate or tin. 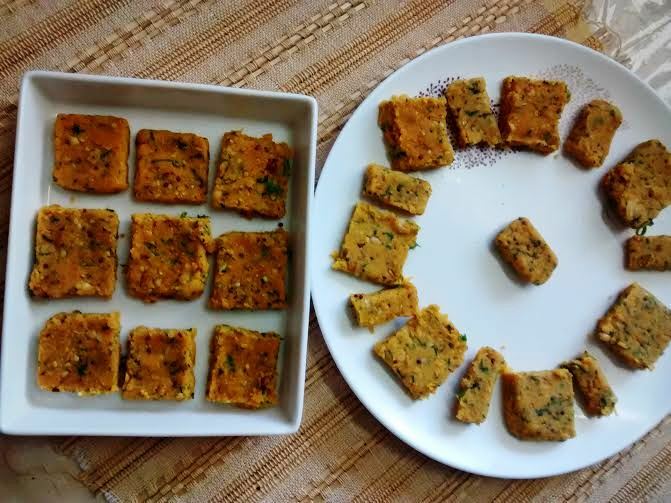 Take a knife and cube the mixture as per your requirement. Leave it to rest for about five minutes, for it to completely set. Meanwhile heat oil for frying. After the resting period, transfer the diced cubes to a separate plate. 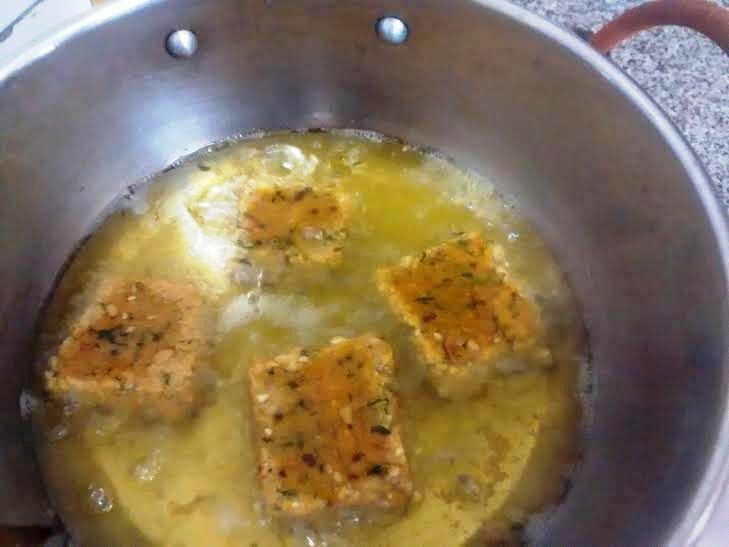 Fry them in batches, wait till it turns into golden brown and lay it on a tissue to soak up excess oil. Tadaaa!! here you have those golden brown fritters just waiting to be devoured. 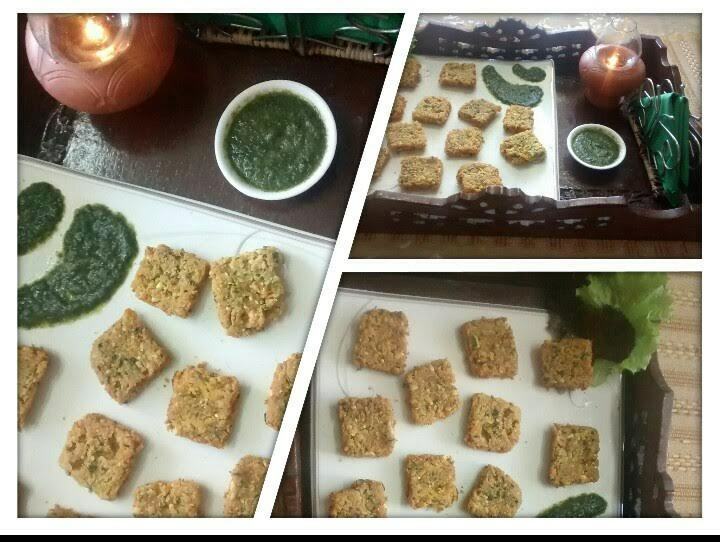 It tastes well with a green chutney. If you are one of those sauce lovers, you may just dip it in the sauce and relish them. Have fun arranging them on a cool snack plate, as they say “plating” is an inherent part of the culinary world. The crunchiness of the fritters along with peanuts, sesame seeds infused with the aromatic freshness of coriander leaves is sure to get you loads of compliments!! U have a way with presentation gayatri. Love u. That sounds cool Meha! Let us know if we can help you in providing more recipes for your party.. You can request a recipe too. Super Gayatri…a simple but a different one…surely would like to try.. Awesome! Share the pics with us! Follow or subscribe our newsletter for more such cuisines. gayathri……yummy ….yummy….will try soon….pics and explaination too good…..post more dear…. Great! Share your dish’s pics with us. Gayathri very well explained. Can’t wait will try definitely. you inspire others to cook !!! Wow….interesting!!! A must try….explained very clearly…thanks.. Thanks Saloni! Glad to hear! Please subscribe our newsletter for more such recipes. Very well explained…am following you..a simple yet not a run of the mill snack..for one of those days when you want to have some thing different.. Thanks Soma. You can subscribe our newsletter for Recipe updates!